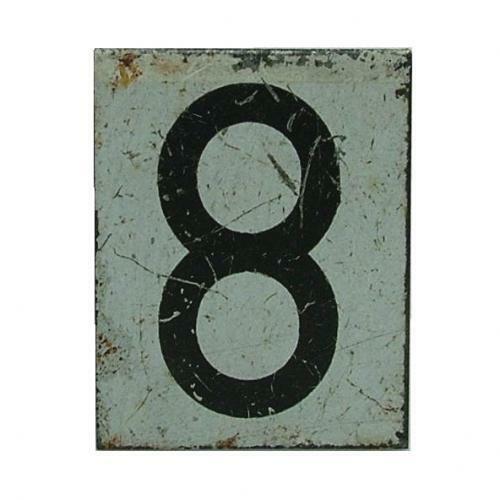 Small metal counter or 'tile' marked with the number '8', this representing the level of enemy aircraft. These were mounted on wooden blocks with other tiles indicating the height of the aircraft and pushed around the 'Ops' Room plotting table by members of the WAAF. Approximately 3 x 2.5cm. Found at West Malling some years ago. Some scratching and wear but in good overall condition. Stock code M17670.